Are you ready to take on the whole court with pickleball? 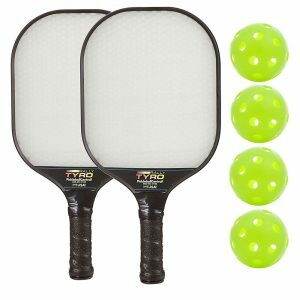 Complete pickleball sets or paddle bundles can help you get started with everything you will ever need! 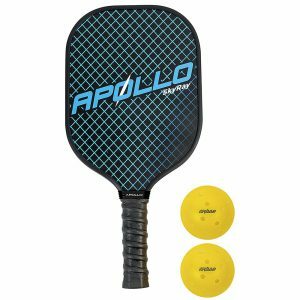 No matter if you are a beginner or a recreation business looking for pickleball equipment to rent out, we provide the best pickleball sets reviews and best pickleball bundles reviews for you to choose the right option. 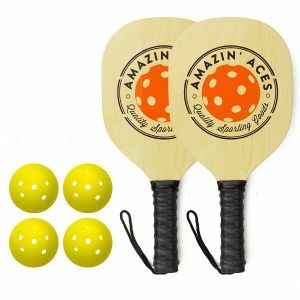 Sets can include paddles, nets, balls and more! 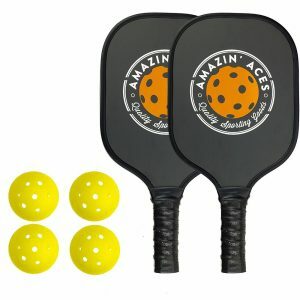 Complete pickleball sets can give you the best value for your dollar! How do I get started with pickleball? Want to play pickleball in your community? You have the opportunity to rejuvenate recreational areas, specifically unused tennis courts. A pickleball court should be 30′ x 60′ which is exactly 1/4 of a tennis court. You can easily convert a tennis court to four pickleball courts temporarily to build momentum and participation in your community. A gymnaisum can be used for a pickleball court if you use portable net stands. Start by offering introductory lessons in the community and watch your pickleball player community grow! Once you have enough members, you can like convert or build permanent courts. How can we help you answer your best pickleball sets and pickleball bundles questions? No matter the question, we are here to help you with best pickleball sets reviews and pickleball bundles reviews, and engage with our fellow pickleball players. Contact us if you have questions or want personalized advice? We are happy to help and will respond within 24 hours.